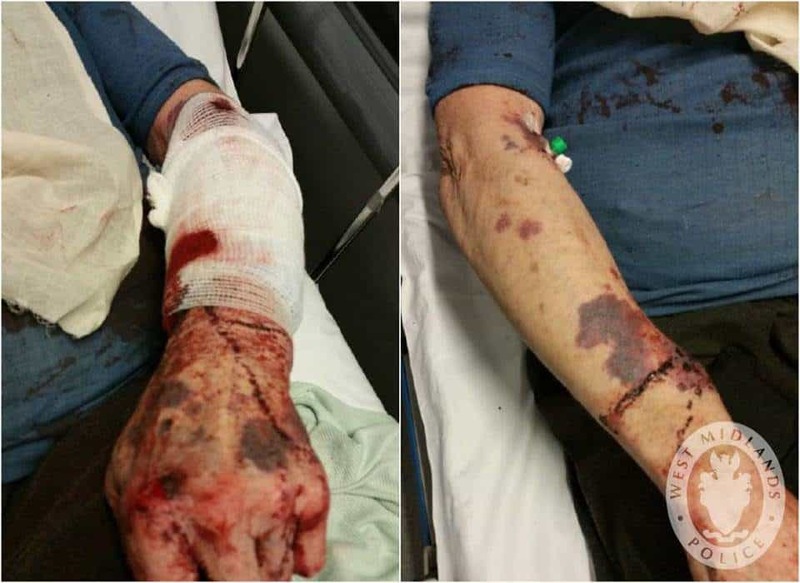 A pensioner suffered these horrific injuries after a burglar forced his way into his home and hit him with an iron bar. The 75-year-old remains in hospital with serious injuries to his face and arm after the senseless attack at his home in Barn Piece, Birmingham on February 7. The burglar forced his way into home at 6.30pm, striking the pensioner several times with an iron bar, before searching the property and fleeing in the homeowner’s Hyundai IX35 car. The offender is described as a white man in his 20s and around 5ft 10in tall. Detective Inspector Greg Evans from West Midlands Police Criminal Investigation Department (CID), said: “This is an appalling attack on an elderly man in his own home and we are appealing for anyone with information to come forward. Anyone with information is asked to contact the police, quoting crime reference number 20BW/32556R/19 via Live Chat at west-midlands.police.uk between 8am and midnight, call 101 anytime or contact Crimestoppers anonymously on 0800 555 111.